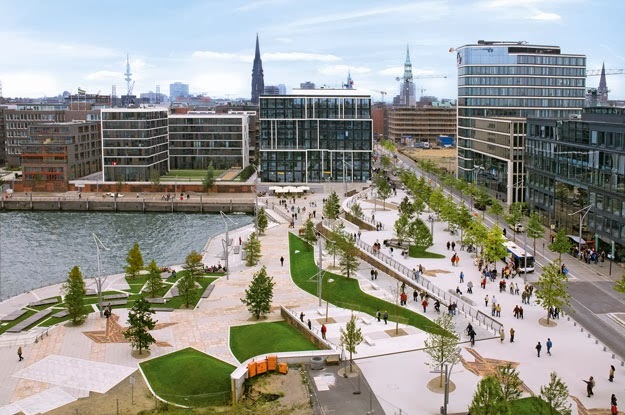 "The German city of Hamburg, the 2011 European Green Capital, has announced an ambitious plan to create and link an amazing 27 square miles of new and existing green space all over the city. The result will be a city that puts nature within easier reach of every resident; becomes more resilient to flooding caused by global warming; and provides enough connectivity for walking and bicycling to become car-optional citywide in twenty years. "[The plan] will connect parks, recreational areas, playgrounds, gardens and cemeteries through green paths. Other cities, including London, have green rings, but the green network will be unique in covering an area from the outskirts to the city centre. In 15 to 20 years you'll be able to explore the city exclusively on bike and foot." In all, the green network will cover an impressive 40 percent of the city’s land area. Although the plan is being hailed as intended to make the city “car-free,” I don’t read the reports quite that way. Cars will still be allowed in Hamburg, but they may not be necessary for most tasks that able-bodied Hamburgers are likely to undertake. The more important result may be the provision of green infrastructure to absorb rain and flood waters. 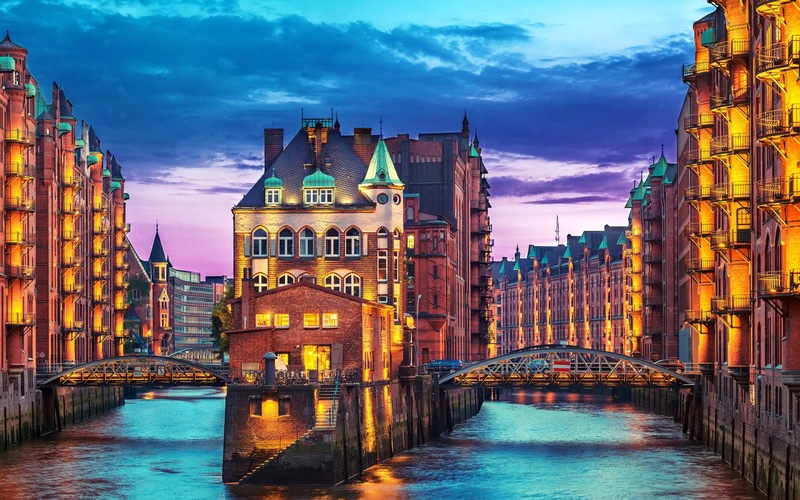 Charley Cameron writes in Inhabitat that in the past 60 years the average temperature of Hamburg, a port city and Germany’s second largest overall, has increased by 9 degrees Celsius, while sea levels have risen by 20 centimeters. Sea levels are expected to increase another 30 centimeters by 2100, according to Cameron. If fully realized, the network will cover some 7000 hectares, over half the size of Boston or San Francisco. In addition to flood and transport benefits, it will connect urban wildlife habitat, help lower summer temperatures, and provide recreational opportunities for residents. Braw’s article stresses that the plan is still somewhat formative and the brainchild of planners. Some 30 city staff members have been working on the vision. For the plan to be successful, politicians will need to “make the green web a priority. 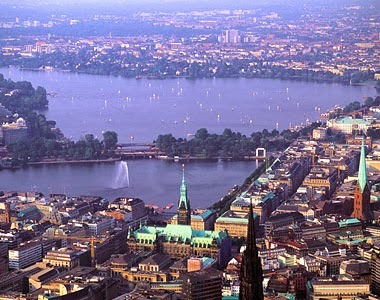 Hamburg is already a city of considerable green ambition. A head start on the linked network may be provided by a plan to cap a two-mile stretch of a major freeway with woods, parks, trails, and garden plots for city residents. The green cap, which will also reconnect neighborhoods split by the freeway, will be over 100 feet wide and as much as ten feet thick in places."